on both men's and women's health. You or your company can purchase an individual or a 2-man team round. Individuals or corporations can also participate as a sponsor for this event. This will be a 4-man scramble, mixed, Captain's Choice format with shotgun start at 8:00am EST. Check-in will begin at 6:30am. We will be sponsoring a 50/50 raffle during this event and plan for excellent giveaways and surprises. There will be an outstanding “hole-in-one” prize (hint you can win a cash prize) as well as other events including longest drive and closest to the pin contests. Your contributions to this event will go to support the UPLIFT Foundation and the DC/Metro area Wounded Warriors fund so play or donate to this worthy cause now! Check out our Gold Stroke Classic 2017 Video Promo Below! (2) Print, sign, and fax the forms to 410.774.1022 with the fax cover sheet included in the package. (3) Submit your logo (hi-res 300dpi minimum) and other verbiage for your signage to goldstrokegolf@capitalregionques.org. (4) Remit payment in check or cashiers check by May 15th, 2019. For signage and advertisements please submit your company logo or advertisement as a high resolution (300dpi minimum) file in an either PSD, EPS, .TIFF, .PDF, PNG, or .JPEG image format.). 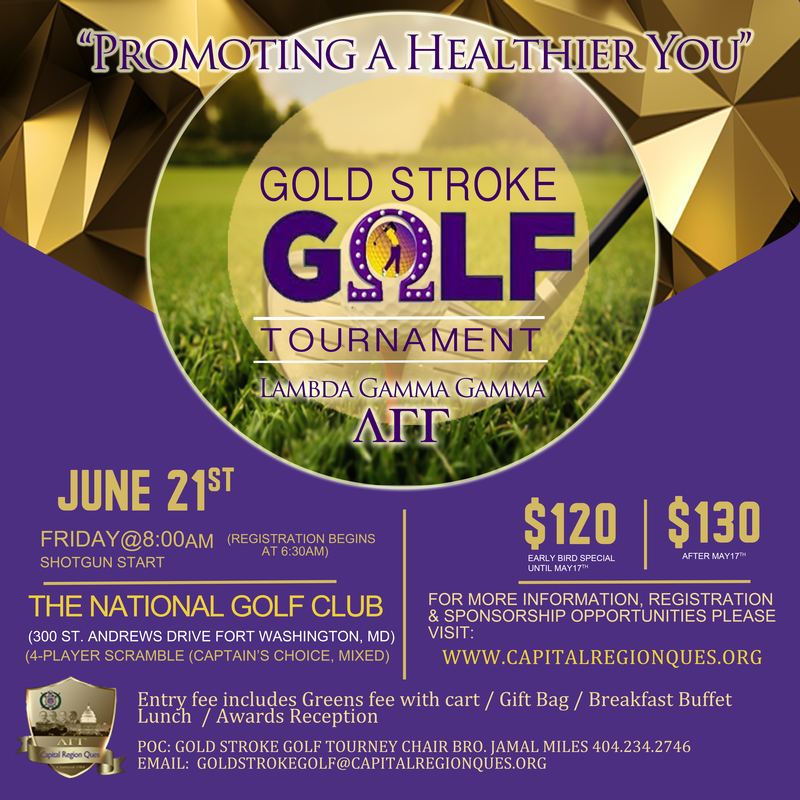 Please email imagery to 'goldstrokegolf@capitalregionques.org' and in the subject reference your company name + logo (e.g. Subject: MyCompany Logo). Please submit camera-ready artwork for your ad or signage and make payment by May 15th, 2019. Please RSVP, submit camera-ready artwork for your ad or signage and make payment by May 15th, 2019. Indicate your commitment level below and email to: garvey.wright@capitalregionques.org or james.harris@capitalregionques.org. 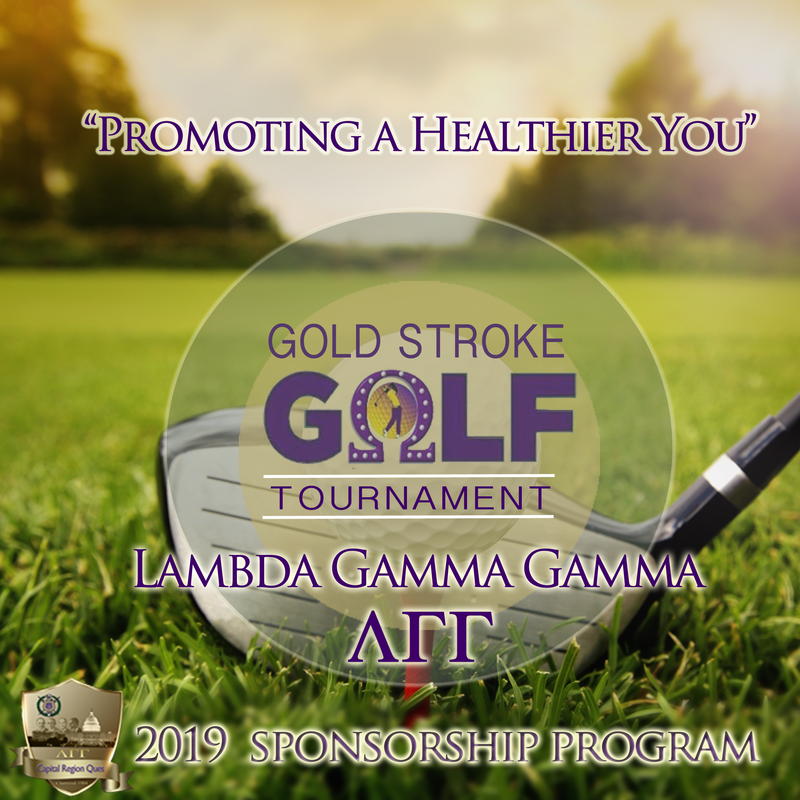 NOTE: Please make check payable to "The Uplift Foundation"
If you would like to purchase your companies sponsorship package online via our website please review the Gold Stroke Golf Tournament Sponsorship Package (2019). The links to sponsorship activities are listed on the calendar for June 21st, 2019.